Available for almost all known networking equipment brands, these locally produced and manufactured compatibles, offer a high quality alternative to other solutions at approximately 30% of the price. 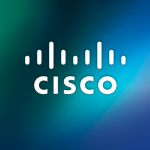 Because of their affordability they are the perfect solution for companies looking to expand and improve their network capacity, but to date have been held back by the onerous costs of ripping and replacing their infrastructure. With the growing footprint of high speed fibre in South Africa, service providers need alternatives to expanding their networks while at the same time not compromising quality or breaking the bank. With our range of SFPs that cater from 1G, 10G, 40G and now 100G, a service provider can more easily allocate bandwidth in an area, per block, by simply clustering the allocations as per the bandwidth requirement of the users, without a break in quality. The Netshield 100G Quad Small Form-Factor Pluggable (QSFP28) compatibles allow a customer to leverage a variety of high-density and low-power 100 Gigabit Ethernet connectivity options. This is particularly relevant for today’s growing data centre, enterprise core and distribution layers, high-performance computing networks as well as connectivity applications needed by service provider. Based on the industry standard QSFP28 design, these devices are a compact, hot-pluggable transceiver used in particular for data communications applications. 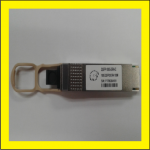 The Netshield QSFP28 100G compatibles, are able to interface with the hardware of almost all known vendor based switches and servers to a fibre optic cable or active or passive electrical copper connection. Our compatibles are quality tested, hot-swappable and interoperable with other IEEE-compliant 100G interfaces. They have been tested and used on multiple vendor devices, superior performance, quality, and reliability and are high-speed electrical interface compliant.